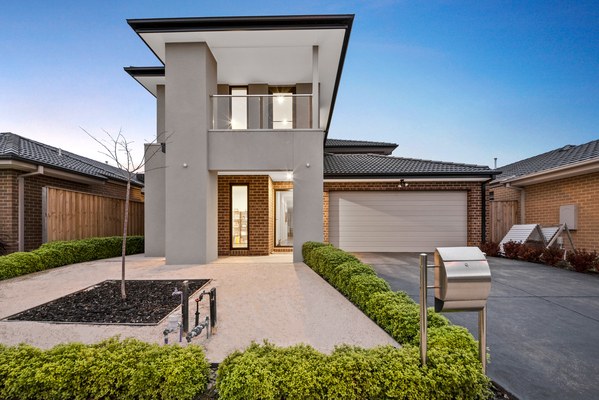 Positioned perfectly and overlooking parklands, this consummate modern masterpiece is only two years young and offers an aspirational family lifestyle with its grand design, quality appointments and outstanding indoor/outdoor entertaining. 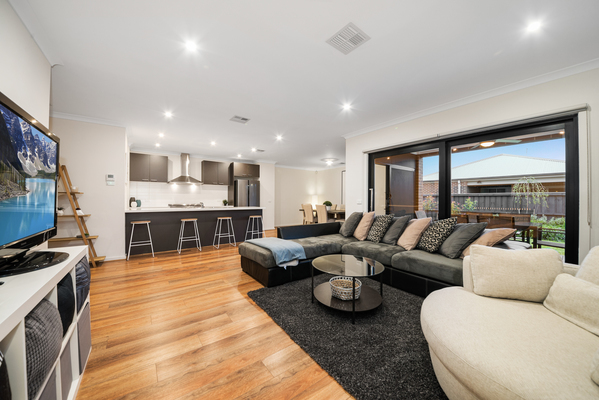 The residence showcases open plan living creating a magnificent sense of space and comfort, a master chef’s kitchen with stone benchtops, 900mm stainless steel appliances, dishwasher, innovative storage solutions and separate walk-in pantry. A generous meals area flows effortlessly into a spacious living room. With an additional sitting area situated at the front of the home, ensuring all members of the family feel at home. 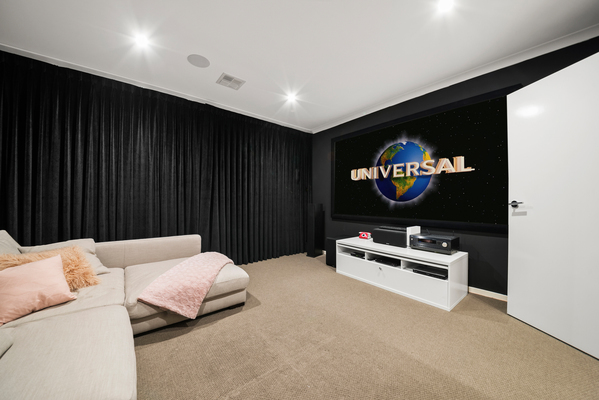 If movies are your thing, then lock yourself away in the theatre room fitted with surround sound, quality projector and screen and lose yourself in a good film with a tub of popcorn while the world passes by. 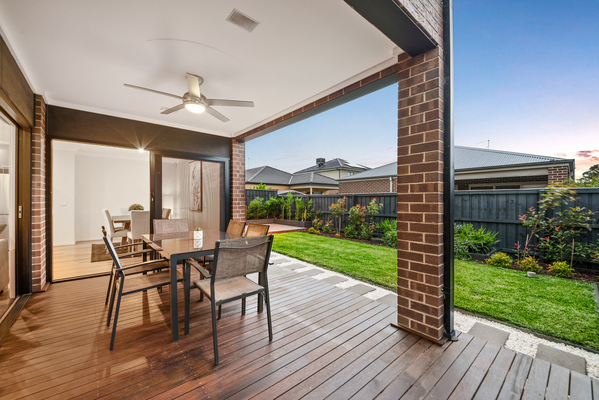 Flowing on from the main living are beautiful stacker doors open to the outdoor covered alfresco space overlooking the stunning landscaped backyard with additional courtyard completing this fantastic family abode. The upper level comprises of a spacious rumpus for the kids, an outstanding master suite with his and hers walk-in robes and full ensuite with oversized shower. Spacious three bedrooms all with built-in robes and are serviced by the main bathroom. A beautiful balcony overlooks the park opposite creating a beautiful aspect for you and your family. Impressive comforts to enjoy including, but not limited to: zoned ducted heating and cooling, double remote garage with internal and external access, NBN data points through the home, LCD downlights throughout, three-phase electricity installed, BOSE speakers in alfresco, quality flooring and tiling throughout the home. 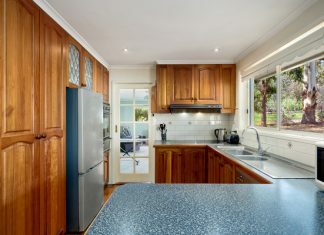 Situated close to freeways, schools, shopping centres, cafes, restaurants, public transport and much more, this home has it all. This beautiful home is not one to be missed and is ready for you to make memories of your own! Previous articleTHE VENDOR SAYS SELL!